Since arriving prior to last season, Minnesota United goalkeeper Bobby Shuttleworth’s fiery persona and ultra-competitive streak — combined with the acrobatic saves that often punctuate Loons wins — have made him a fast fan favorite. MNUFC celebrated its seventh year at the State Fair by asking fans to put their #CornDogsUp and with events and appearances by players in its booth inside Fan Central. A trio of Loons have been called up for international duty in September, including Romario Ibarra's first-ever call-up for Ecuador as a member of MNUFC. Go inside the supporters section on the road as they cheer on the Loons in hostile territory. Callum Williams and Steve McPherson discuss the Great Minnesota Get Together and Cal gives an impassioned speech on the state of Major League Soccer following the announcement that Clint Dempsey is retiring from professional soccer. For the fifth straight year, MLS WORKS, Major League Soccer’s community outreach initiative, will kick off its Kick Childhood Cancer campaign this September, to raise awareness and funds for Children's Oncology Group (COG). Cal, Kyndra and Jamie try out the newest foods at the Minnesota State Fair. 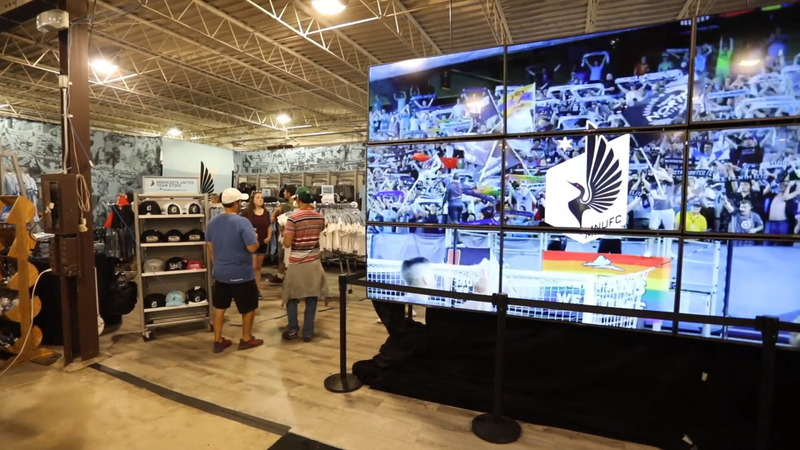 Cal, Kyndra and Jamie take you on a tour of the MNUFC booth in Fan Central at the Minnesota State Fair. St. Paul’s East Side neighborhood and Minnesota United celebrated the richness of Minnesota Latinos on Saturday, August 18 at the 2018 Fiesta Latina. Minnesota United and its Academy Staff hosted an all-day clinic for everyone in attendance. Minnesota United and Tyrone Mears have agreed to mutually terminate the player’s contract. Abu Danladi and Jerome Thiesson spent last Thursday evening at the National Sports Center in Blaine with 30 young soccer players participating in the second session of the Pro-Player Clinic. MNUFC successfully weathered an early storm, but a pair of second half goals undid the Loons on Saturday as they succumbed to SKC’s relentless attacking pressure in a frustrating 2-0 setback on the road. All the top plays from the Loons' loss on the road to SKC.